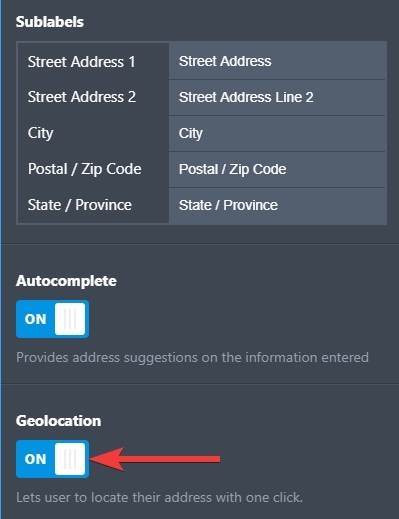 If you want to collect an accurate location of the user as well as eliminate the boring part when filling out the form, simply enable Geolocation feature in the address field. This automatically detects the user's location and autofill it to the address field in just a single click. That's it! 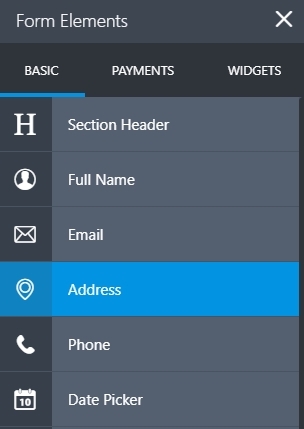 You'll notice a marker added beside the address field after you turned on this feature. In the live form, clicking the marker will automatically capture your location and autofill it to the address field.